Angel hair pasta, eggplant Parmesan, lasagna, oh my! Italian food staples are always a hit with friends and family. Some of the best Italian restaurants can be found right here in the United States. If a trip to Italy isn’t in your near future, mark down these top five Italian restaurants on your bucket list right now. Head to Birmingham for a slice of white pie with fennel sausage and pesto from Cafe Bottega. Chef Frank Stitt has a knack for creating unique Italian dishes to please the crowds seven days a week. Frank Stitt has singlehandedly changed the food scene in the Magic City for the best. For some phenomenal food, check of Caf? Bottega because the chicken scallopine is out of this world. The entire menu explores the spirit of fine Italian cuisine. Wood-burning pizzas, roasted veggies, and spectacular seafood dishes can be enjoyed here until 11 pm. End your date night here with a delicious helping of fragrant tiramisu, another classic Italian staple. Heading over to the west coast? Be sure to stop at Acquerello for savory pasta complete with a house-made black truffle and Marsala sauce. Chef Suzette Gresham-Tognetti has prepared and perfected each unique Italian dish since 1989. Splurge on a tasting menu at Acquerello for an unbelievable experience sampling the best award-winning dishes. As for awards, this restaurant proudly received the number one spot for the best Italian restaurant in the country. 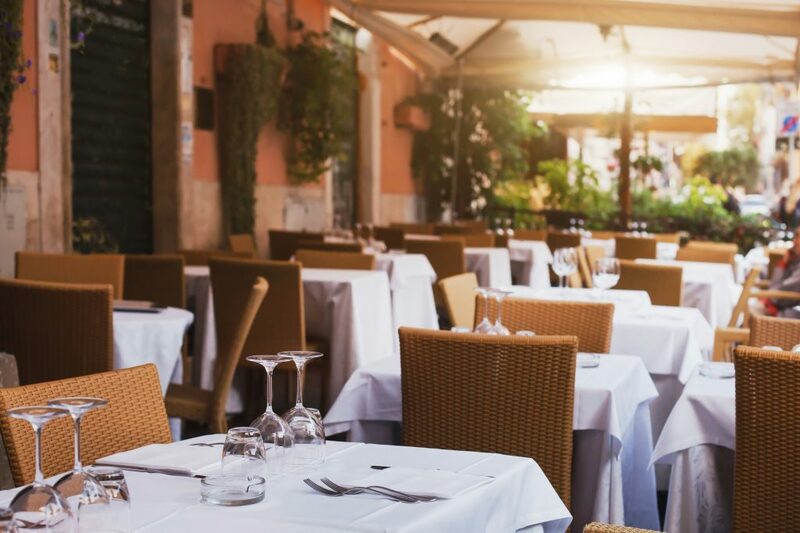 If you find yourself looking for Italian cuisine in the Bay Area, look no further than Acquerello for a contemporary flair added to traditional Italian meals. Head up north to try out Seattle’s best Italian food at Altura. Altura offers quite a mix of Northwest and Italian favorites. From the expansive menu including Spot Prawns Roasted In Popcorn and Carnaroli Risotto, you can choose a variety of main dishes that won’t disappoint. As for dessert, you must try the flavorful Mascarpone Gelato or Cannoli Tradizionale. With Little Italy in the area, Manhattan also has its own version of Italian favorites to try out for yourself. Head to Marea located in Midtown West for a seafood-centric approach to Italian cuisine by chef Michael White. Marea has such an opulent dining room so it can fit plenty of guests at one time. Sip an all-Italian beer while you enjoy a bold and original pasta topped with a helping of sushi-grade tuna. Another one of the best Italian restaurants in America is Vetri in Philadelphia. An intimate townhouse setting sets the stage for this spectacular Italian restaurant in the heart of the city. Some of the standout favorites include sweet onion crepe with black truffle fondue. and the roasted duck breast. People can’t stop raving about the excellent food and service presented at this esteemed Italian restaurant. If you are looking for a place to celebrate an anniversary, try Vetri for its exquisite selection of wine pairings and antipasti options. Looking for More Great Italian Restaurants in Your Area? If you are on the hunt for a brand new Italian restaurant to dine at with your spouse check out our online restaurant menus today. Our complete list of restaurants only continues to grow every day so be sure to keep our page bookmarked on your computer until you have a list of the best Italian restaurants.